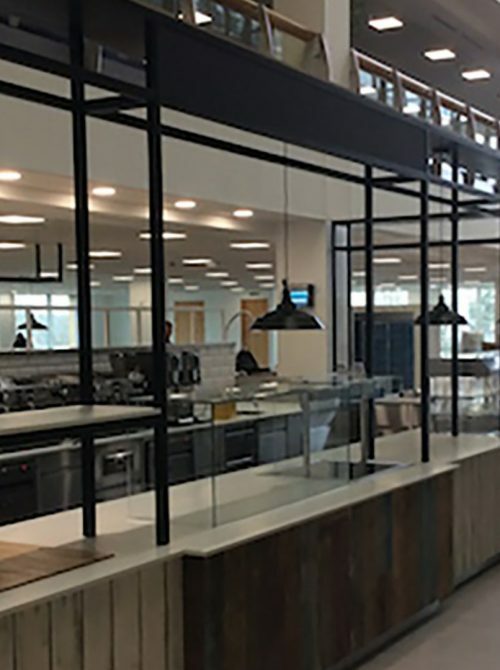 Ceba Solutions Ltd were asked to create a new service platform for Aviva at their building in London. The project involved consolidating two existing coffee bars and one main restaurant. The Aviva building offers 61,484sqft of grade A office space, combining a new five-storey building integrated with a fully modernised and refurbished grade II listed Georgian terrace building. 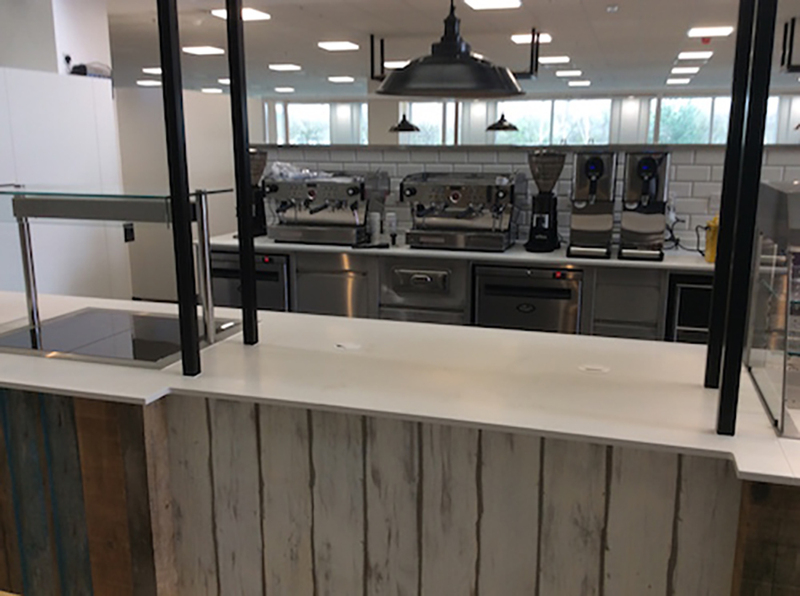 We were provided with an area on the main street/concourse to design a new outlet that assisted with achieving their goal to reduce overall operating costs and increase internal building space for alternative use. Condensing three catering outlets into one service point is always difficult, compromises must be made, both operator side and trying to meet customers’ expectations. 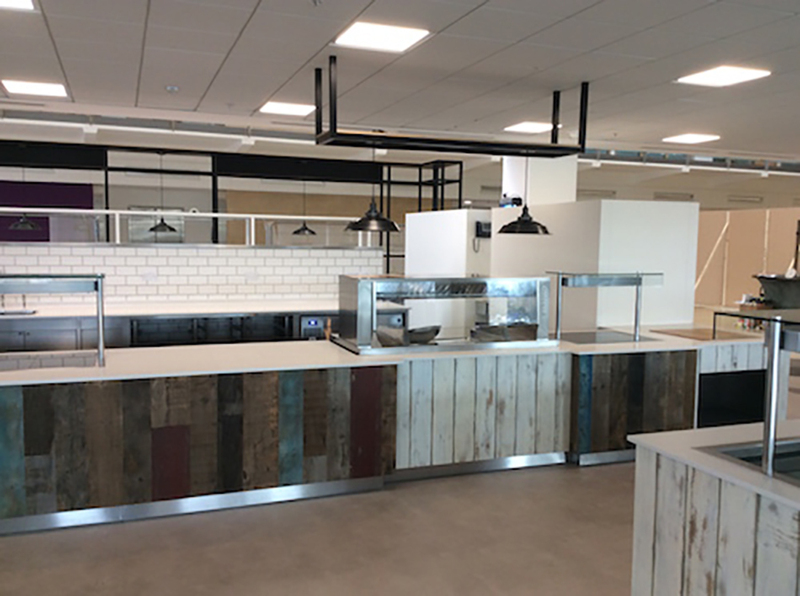 We consulted with all parties to ensure we could accommodate the new revised food & beverage offer and were briefed to design the area in line with a ‘rustic high street’ appearance with gantry lighting especially in the atrium/concourse side. 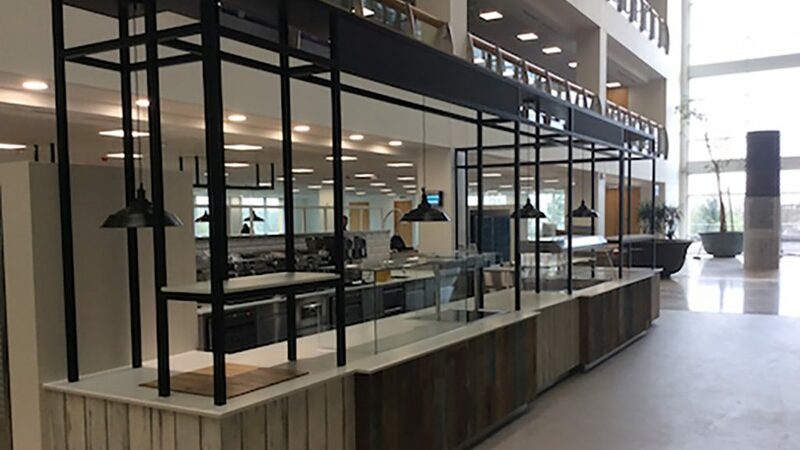 The kitchen remains in the existing position on the lower ground floor, which meant we had to design mobile hot cupboards to support the journey from kitchen to new servery areas. Ceba designed a square service counter enabling it to be accessed from each side. 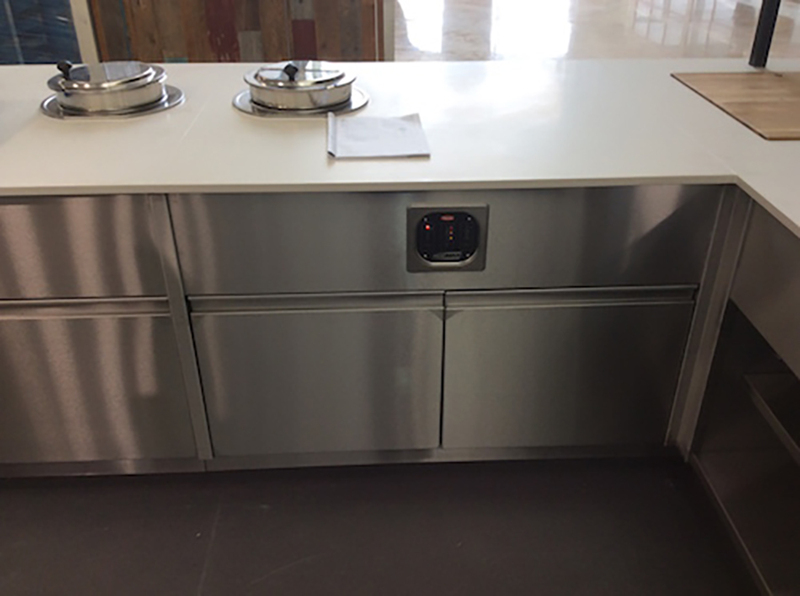 Hot beverage bar, grab and go areas, soup/porridge station, theatre cooking, hot holding/displaying and cashier areas. Ambient/chilled mobile tabling for salads, retail products and condiments. We also dealt with the need to satisfy waste recycling, and customer tray stations. Project management team managed the program, regular site visits prior to installation and providing onsite support during installation. Bespoke mobile hot cupboards, Hatco soup kettles, handwash basins with auto taps, insectocutors.